In the picture above, Gal. 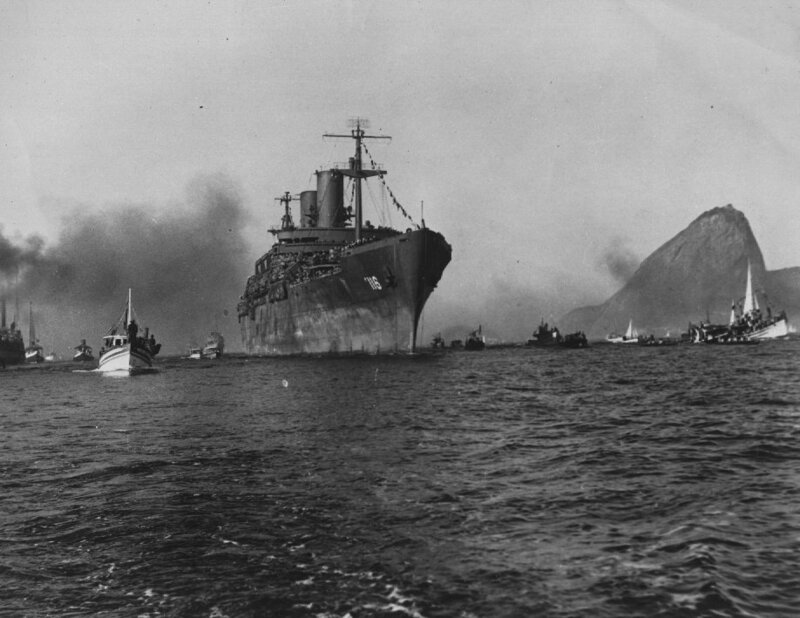 Meigs in Guanabara Bay at Rio de Janeiro with 4300 Brazilian troops from Brazilian Expeditionary force which fought in Italian front. Photo. www.navsource.org by Capt. USN Ret. Jerry Mason. Armament : Four single 5"/38 dual purpose gun mounts, four quad 1.1" AA gun mounts replaced by twenty 20mm AA gun mounts. After two round-trip, troop-carrying voyages between Newport News, Va., and Naples, Italy, from 10 July to 1 September, General M. C. Meigs departed 5 September for Rio de Janeiro, Brazil. Arriving 18 September, she was visited by Brazilian President Getulio Vargas and embarked 5,200 troops of the Brazilian Expeditionary Force, the first Brazilian troops to be carried by an American transport. She sailed 22 September for the Mediterranean; arrived Naples 6 October; and there embarked troops, civilians, and 460 German prisoners of war for transportation to the United States. Departing Naples 10 October, she embarked additional troops at Bizerte, Tunisia, and at Oran, French Morocco, before returning to New York 22 October.Between 7 November and 8 March 1945 General M. C. Meigs made two similar round-trip voyages from the United States to Italy and North Africa via Brazil, carrying thousands of American and Brazilian troops to Europe for the remaining drive against Nazi Germany and returning several thousand others to the United States and Brazil. General M. C. Meigs deployed troops to Panama and Puerto Rico from 25 March to 7 April before departing New York 16 April to carry troops to Le Havre, France. There she embarked homebound troops 28 April, sailed for the United States 30 April via Southampton, England, and reached Newport News 14 May. 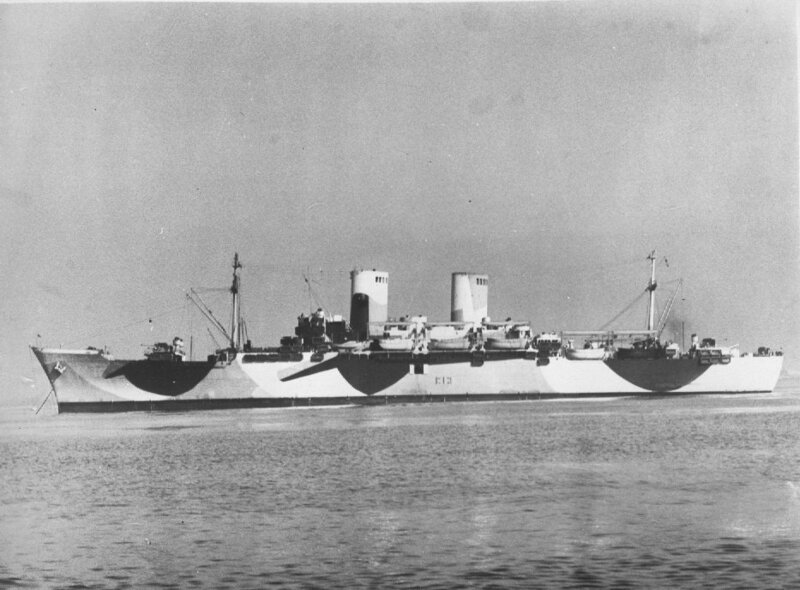 Between 22 May and 14 June she steamed to Naples and returned to Newport Newswith 5,100 veterans. Sailing again 23 June, she transported occupation troops to Naples, where she then embarked Brazilian troops 4 July and sailed the 6th for Rio de Janeiro. She reached Brazil 18 July and steamed to Baia [sic; Bahia] and Recife, Brazil, before arriving Newport News12 August. 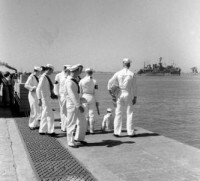 Between 23 August and 17 September she cruised to Naples and returned additional troops to Brazil. Departing Rio de Janeiro 20 September, General M. C. Meigs steamed via Recife to Marseilles, France.